Jewish Lights Publishing, 9781580238045, 24pp. For babies, toddlers and preschoolers--a first lesson in the everyday kindnesses that mark the beginning of a Jewish journey. 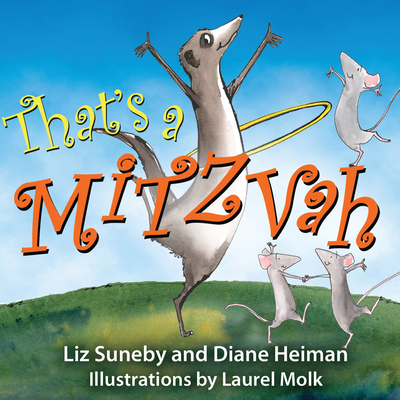 This whimsical, fun-filled board book helps you and your child explore the joys of doing good deeds and mitzvot together. Adapted from the award-winning It's a ... It's a ... It's a Mitzvah, the playful text spins new twists on beloved nursery rhymes. Lively illustrations introduce your child to the everyday kindnesses that mark the beginning of a Jewish journey and a lifetime commitment to tikkun olam (repairing the world). Your child will delight in turning the sturdy pages and celebrating the actions we all can do to become caring souls who think about and help others.